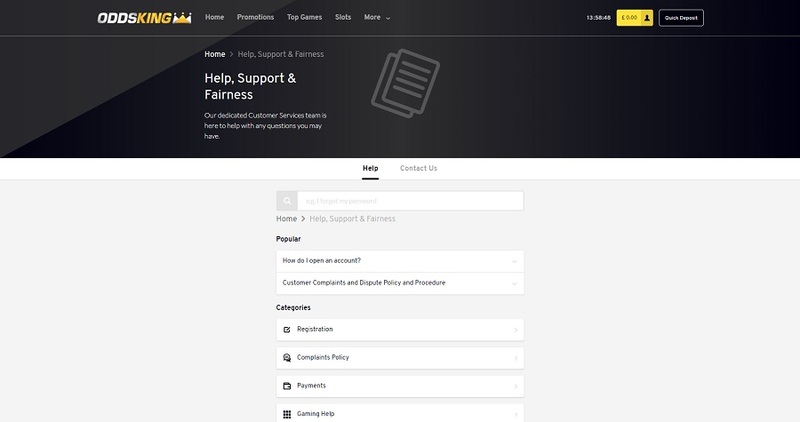 OddsKing is licensed by the UK Gambling Commission and the Gibraltar Gambling Commission, and offers 24/7 support via UK and overseas telephone, plus live chat and e-mail. 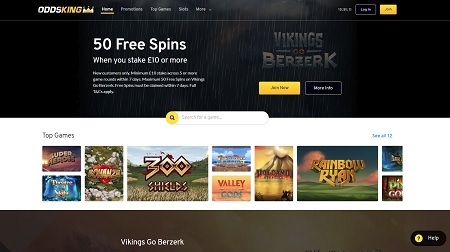 For such a new casino, the creators of OddsKing have created a beautiful website which not only looks wonderful, but works wonderfully too. 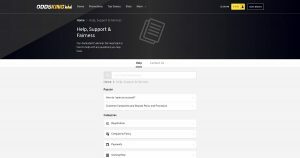 As soon as you land on the site everything is in front of your eyes; the big welcome offer, the games, the register/login button, the help section. Many online casinos take a bit of time finding the right balance between aesthetics and user experience, but OddsKing have nailed it straight away. Top job. Long Live The OddsKing! 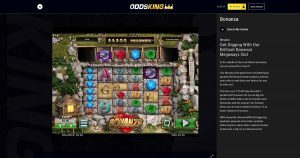 OddsKing only offers debit and credit card deposits and withdrawals currently with just Visa, Mastercard and Maestro available. The minimum deposit is a very low £5 and there is no stated maximum deposit. The minimum withdrawal is also £5 and the maximum withdrawal is a whopping £20,000 per transaction. 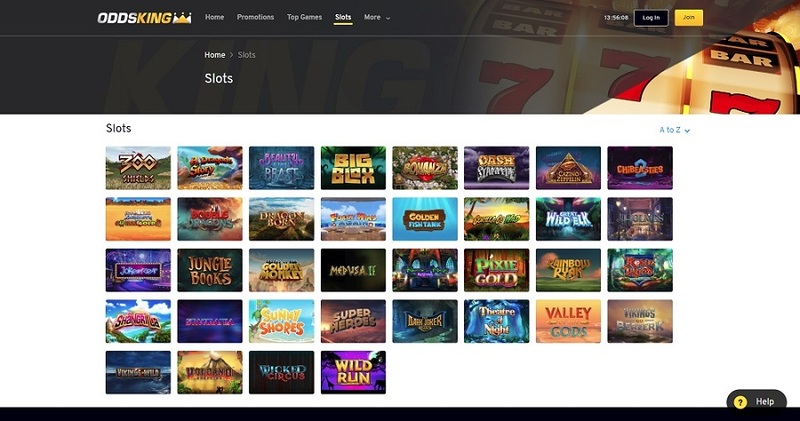 As OddsKing is new to the scene, there are only a few games available presently, and they are all slots: no traditional table classics, no live dealer, and no instant-win games, but they will surely all arrive in time. However, though the selection isn’t all that wide, the quality is very good featuring the likes of popular titles like Bonanza, Beauty and the Beast, Foxin’ Wins and Starmania. Not bad at all! 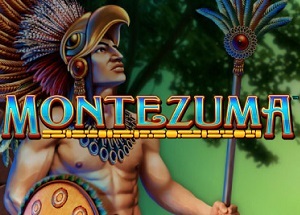 All the king’s men have been working hard on creating a new, top online casino. And they’ve just about managed it. 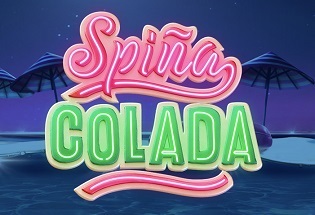 With a lovely looking website complimented with superb navigation, 24/7 customer support, plus an excellent banking system, this casino hits all those key features with perfection. 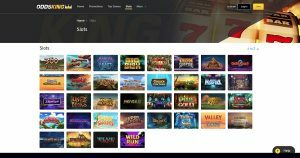 And though the welcome bonus isn’t all that tantalising, and the games aren’t as in abundance as others out there; OddsKing has laid the foundations to build a casino that is bound to become part of online casino royalty in no time at all.